Jordan has served in the development and eCommerce space for over a decade. In that time, he has worked to support the needs of over 300 organizations. Jordan’s technical background includes expertise in the area of data imports and a deep knowledge of the Magento platform. 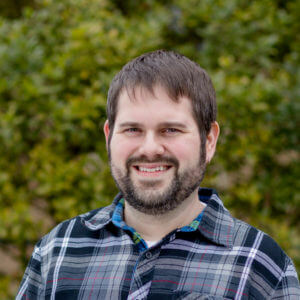 He is a founding member of the Nucleus Support team and holds multiple Magento certifications including Magento Certified Developer Plus, Magento Certified Frontend Developer, and Magento Certified Solutions Specialist. Jordan is also Zend Certified Engineer. God, my family, coffee, playing and listening to all kinds of music, cooking, traveling. I am married to my sweetheart, Laura. We have two daughters, Ella and Emerie. We enjoy watching movies together, hanging out with friends and family, and playing outside.